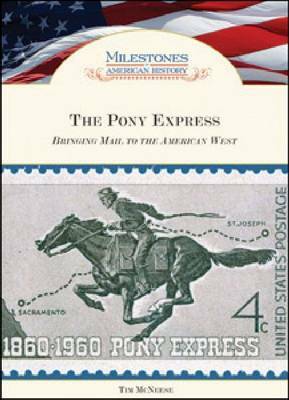 From April 1860 to October 1861, the mail service known as the Pony Express operated between Saint Joseph, Missouri, and Sacramento, California. Cross-country mail delivery that used to take three weeks was reduced to 10 days. At its height, 80 riders weighing no more than 125 pounds each and 400 to 500 horses carried the mail overland to 100 stations averaging 25 miles apart. Despite the hazards of traveling 2,000 miles over such a short amount of time, only one delivery was ever lost. In fact, the Pony Express is credited with keeping California in the Union by providing rapid communication between the coasts. Its official end came with the establishment of the Pacific Telegraph Company in 1861, and the founders ended up declaring bankruptcy. ""The Pony Express"" explores the history of the predecessor to modern mail delivery and its importance in keeping communication open from coast to coast.